Within the past few years, cloud software became a “shiny new toy” in the veterinary industry. It’s easy to see why. Cloud software can be extremely cost effective, particularly for a start-up veterinary practice. It’s easier to update and stay on the latest version. It’s always available, from any device with an Internet connection. And, it’s shiny. And cool. But, some clinics still have concerns. They may be in a rural area with weaker Internet service. They may be skeptical of data security and data access. They may feel more secure having perceived control over their technology. Unless your veterinary practice doesn’t have strong Internet service, we think the pros outweigh the cons. Cloud technology today (like the platform on which NaVetor is built) is actually more advanced than technology of even a few years ago. 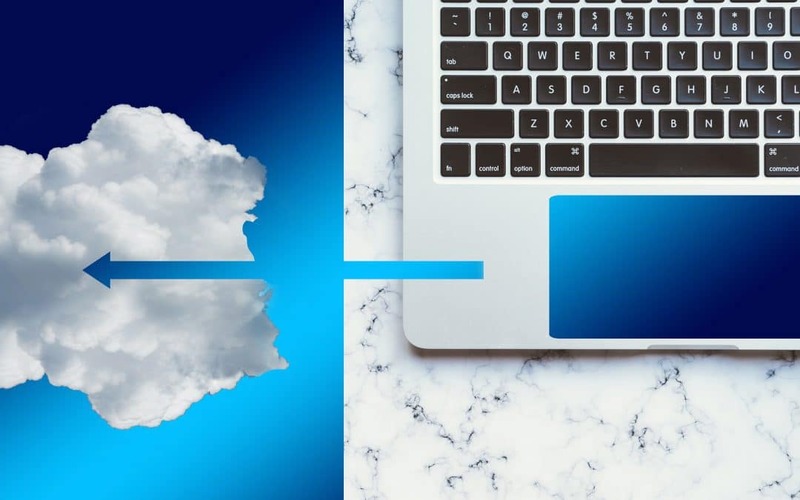 We reviewed the strength and security of cloud technology and identified five reasons why veterinary practices should consider cloud software. It’s hard to argue with the cost-effectiveness of cloud software. Rather than spending thousands of dollars upfront to purchase a server-based system – plus the server itself – you can pay less than $200 a month and get up and running right away. That makes cloud software a particularly compelling option for startup clinics. In addition, practices starting up with cloud software or converting over to a cloud system have incredible flexibility regarding the computers they choose. As long as computer hardware has Internet capability, practices can select any type of computer or device they want. Workstations, tablets, laptops, Mac, PC … all are fair game. That equals cost savings plus flexibility. It’s hard to argue with that. Sure, we all like to turn work off when we go home at night or on weekends. But, isn’t it comforting … and cool … to be able to access your practice software and data from any location and any device (with Internet access)? Cloud technology offers incredible convenience to access information anytime, from anywhere. Mobile phones, tablets, and laptops offer access from home, the field, vacation, or anywhere else. That can certainly come in handy when you need to access your software in a pinch. No matter which software your practice is running, it’s important to stay on the latest version. Why? Updated versions of software contain new features and enhancements that help you run your practice more smoothly. They most likely run faster than their previous versions. They also contain updated security fixes to protect your practice against outside threats. But, with server-based software, it can be a real pain to update. It can take several hours, depending on the size of your practice and the number of workstations. And, glitches do happen from time to time, which can cause additional practice downtime until issues are resolved. Not so with cloud software. Updates happen seamlessly in the background. There’s no need to download new software or halt practice operations while updates take place. When you log in to your system, the new updates are already there. Tech support is another service made easier by the cloud. Our NaVetor tech support team can log in and see exactly what’s going on from your viewpoint, which makes troubleshooting and fixing any issues much easier. Plus, NaVetor subscription pricing includes monthly tech support by phone or email. Accidents and catastrophes do happen, unfortunately. That’s why it’s always important to make sure you have regular data backups in place. Data should be backed up and stored in a secure offsite location regularly (daily is best). With server software, you’ll need to purchase an offsite data backup plan – or remember to do it yourself manually. With cloud software, this happens automatically. Your data is securely stored offsite in a location provided by your cloud software vendor. There’s no need to take manual downloads or backups of your data. This brings up a common question – who owns a practice’s data? The practice? Or the cloud software provider? With NaVetor, the practice owns the data. Your data is always yours. If, for some reason, you choose to switch software platforms (and we hope this never happens! ), your data goes with you. How secure is the cloud? This is a common question. The answer depends on the type of server used by your software provider. NaVetor software utilizes the Microsoft Azure server technology, which is extremely secure. Government agencies use Microsoft Azure to host their data. Microsoft is constantly updating the security of its server solutions and has become the gold standard in security. NaVetor users can rest assured that their data is secured well. Inspired by what you’ve seen? Interested in seeing how NaVetor can work in your practice? Contact us to set up a personalized demonstration of the software.